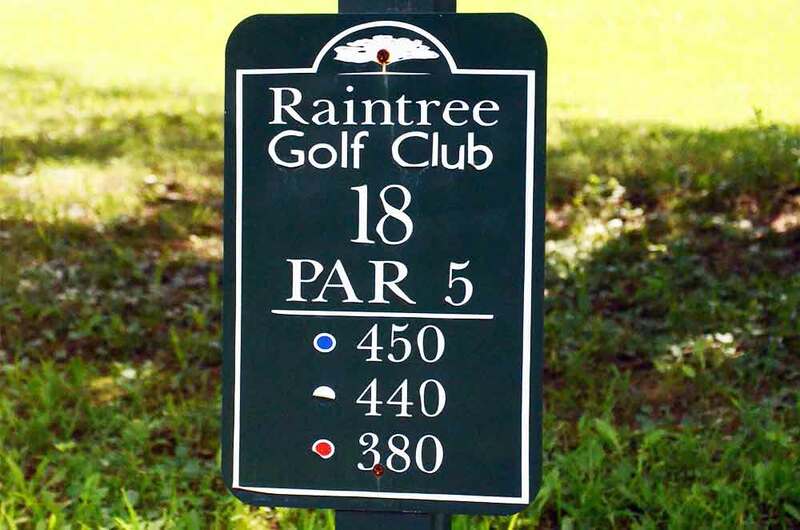 Overall, Raintree Country Club was a good small city course located in Hillsboro, Missouri. 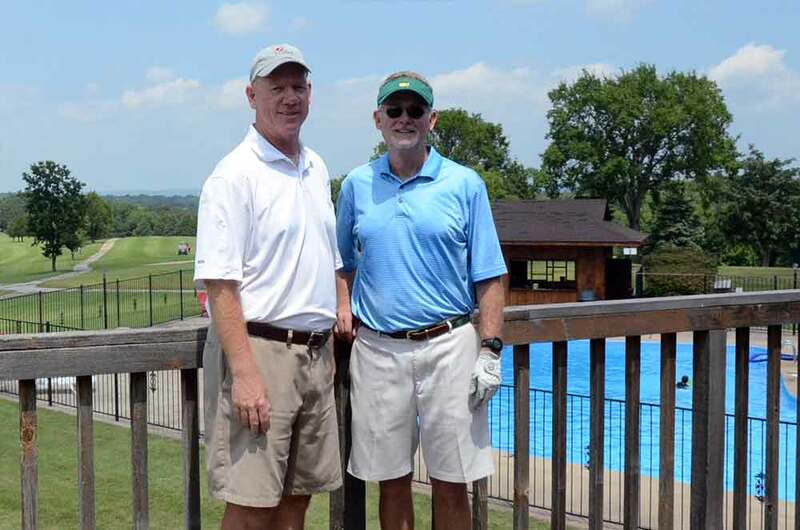 I played with the owner, Dave Tucker, who was a great representative of the course and fun to play with. He purchased the course in 2012 and had to do a lot of work to it just to make it playable. He is slowly improving the quality of the course and has very high expectations and big plans in the future. 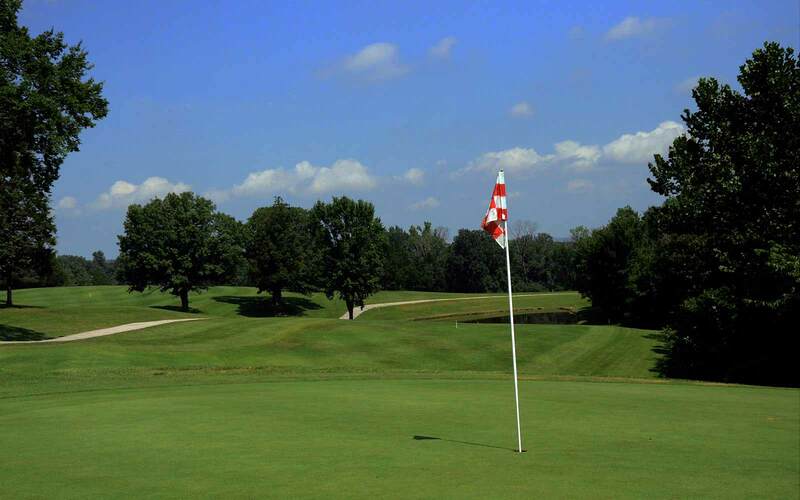 The quality of the course is not where he wants it yet but it has great bones and I am confident that, if the community supports Dave and his vision, the course will be an excellent course. It is a typical Ozark-type course with lots of hills, blind shots to the greens (even on a par 3) and mature trees lining the fairways. The sand is soft and the greens were mostly slow and held as well as any course I have played this year. The fairways were very narrow on many holes. The USGA recently lowered the slope rating from the tips to a 119, which is too low in my mind. The course is actually fairly difficult and I would have rated the slope at 125 to 130. I guess the relatively short total yardage pulls the slope down. 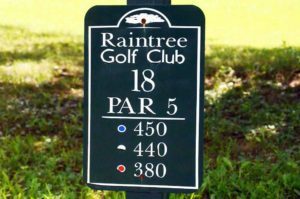 If you live in the area or south St. Louis I would recommend that you make the trek down to Hillsboro to experience Raintree Country Club.